Bill Hoffman, president of the Industrial Internet Consortium, has worked with artificial intelligence (AI) for decades. He's been with the IIC since its inception, and he worked with IIC executive director Richard Soley at various AI firms for years before that. Hoffman recently sat down with Network World's Jon Gold for a chat about IoT and the role of automation and AI. NWW: Is this what you guys expected to be working on 20-30 years ago? NWW: What’s an example of a decision-support system? BH: Basically, it walks somebody through an “if/than” – if the temperature gauge is at 120, and the vacuum gauge is at 45, then you know you have a situation that requires some type of intervention. It’s like a rules-based expert system. Now what we have … since we can effectively and cheaply store big data, with the software that we’re able to use, predictive analytics comes to mind as a good example, it’s classic AI – you’re looking for patterns, and you’re applying it across large data sets, and you’re using that to extrapolate some type of future event. Same thing we did 30 years ago, but we didn’t have disk [space] that was cheap, and we didn’t have the ability to collect all this big data, because we didn’t have the sensors that we have today. NWW: It’s about the price point on sensors, right? These things were available back in the day, they just weren’t economical. BH: Price point, availability, wired or wireless, then the fact that you can hook them up to the Ethernet – IPv6 provides almost no degradation of performance – so you can put a lot of stuff on it, which we also couldn’t do 30 years ago. We were all running Novell local area nets at the time! Who remembers Novell? 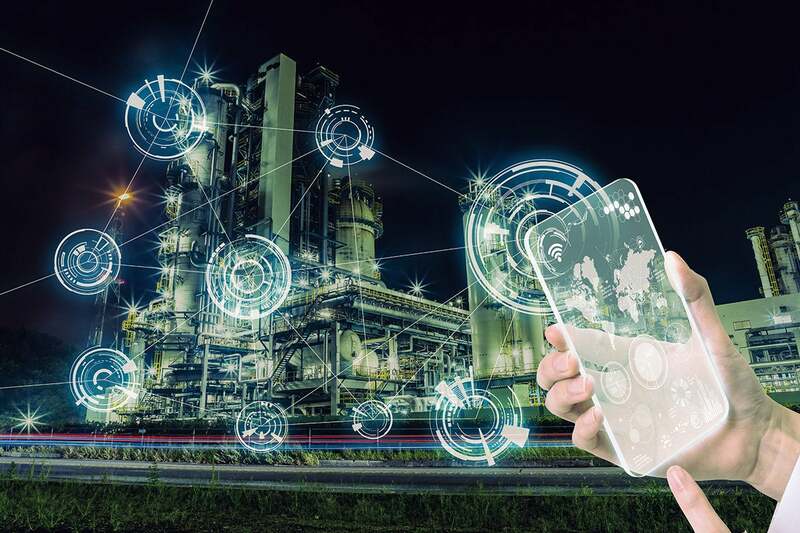 So I think the technology has become much more robust and available, such that we’re able to use the big data and apply predictive analytics, and use these things in industrial systems that we couldn’t have even dreamed of 20 years ago. And when we say “industrial” [Internet of Things], the “Industrial Internet” is really an “industry” Internet, not just manufacturing per se. “Industrial Internet” was actually a term of art GE had coined, back in, I believe, 2013, and they didn’t trademark it intentionally, because they wanted it to remain a term of art. So when Richard [Soley] and I sat around the table with the five founders [of the Industrial Internet Consortium], we had hours of discussion about what to call this new entity we were going to create. There was a lot of discussion about whether the word “industrial” had a manufacturing-only connotation. And we decided that we would roll with it because we decided it was the best we had at the time. NWW: Predictive maintenance is definitely the use case I hear the most about – what else is out there for AI and IoT? What should we be looking for going forward? BH: Precision agriculture is one – farmers can have soil sensors deployed, and then fly a drone across their fields to pick up sensor data. It’s pretty fascinating – they can optimize both the fertilizer as well as the moisture content, and they have past experience, which is the big data, so they know what to expect and they can factor in the weather patterns and optimize the harvests. About 34% of IIC members are involved in testbed projects, and we expect that each of these projects will generate potentially dozens of use cases, and each of those use cases is potentially a new product or service. They’re all looking for the next big thing, and the testbeds give these guys the opportunity to see what works, what doesn’t work and the opportunity to get into the ecosystem earlier.